When you’re homeless, finding a place to sleep means maybe visiting the local police department and hoping they can find you a nighttime shelter. But what are you to do and where are you to go during the day? 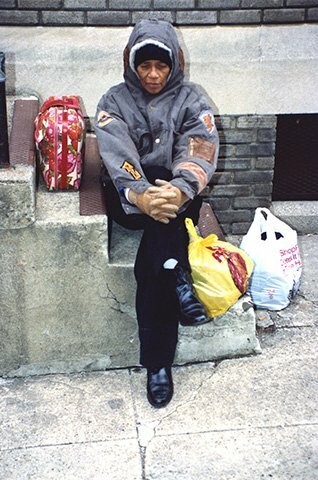 Back in 1997 when Kathy would take the mothers with their babies each week to serve dinner at Mother Teresa’s night time shelter for homeless women in Newark, she was asked by the Mother Superior to open a daytime shelter for the women they sheltered at night. 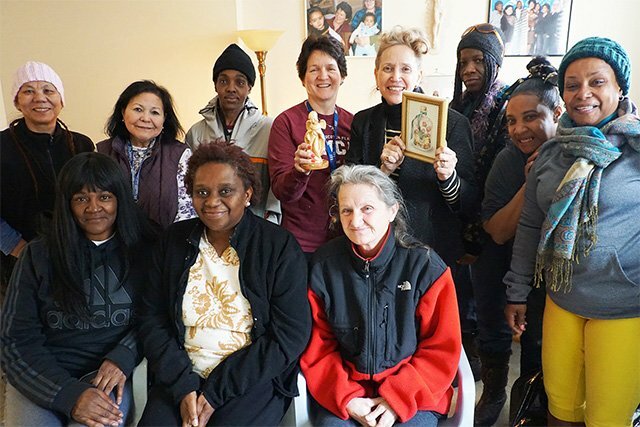 Following Our Lady’s advice to “Do whatever He tells you” Kathy said “Yes” and today between 20 – 40 women come every day to “Ladies Rest” for food, clothing, and warmth 365 days a year. It sounds like Heaven… and for a homeless woman, it is!!! God-centered haven to call “Home.” Yes…. HOME … a new start, a fresh beginning, a reason to try harder to put your broken life back together… and a path to dignity. No fees are ever charged. The homeless women come not only for a safe place to stay, but also for help in putting their lives back together. Guest speakers help but the one who is most influential is Sr. Monika who in many ways has become our “Mother Superior.” She has become both a counselor and a true spiritual friend in difficult situation. Many of the ladies who come have lost their identity papers during the time of homelessness. “Ladies Rest” helps them get the points needed to recover their identities, from Birth Certificates, Social Security Cards and a mailing address. We help with bus fare. We assess their situations and advise the shortest possible way to be able to qualify for Social Security assistance knowing that their stay in the night shelter is good for only 21 days. Several Sources helps these women to find jobs and if they are unable to work, they are helped with social services and encouraged in every way to become independent and self-sufficient. At “Ladies Rest” they have access to telephones, a fax and a mailing address, training and an opportunity to learn about computers, a place to wash their clothes, take a nap and eat a warm meal. 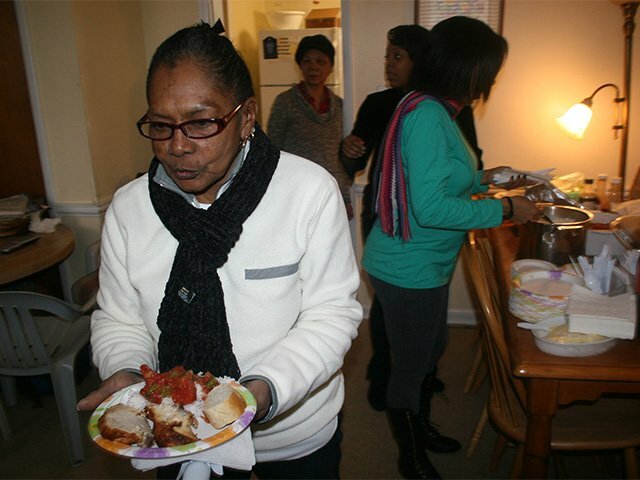 The most frequently mentioned comment of the women who have come from other cities, “Why aren’t there more Ladies Rest in America?” Based on our “Ladies Rest” Sign In book on average we served 26 women a day for a total of 340 a month and a grand total of 6,593 ladies and children visited in 2017. Most importantly, Several Sources freely offers God’s love, hope and compassion to lost, vulnerable women trapped out on the streets.